Having trouble finding the VPS that fits your needs? Use the VPS Screener to quickly zero in on the specifications, performance and price that you're looking for. 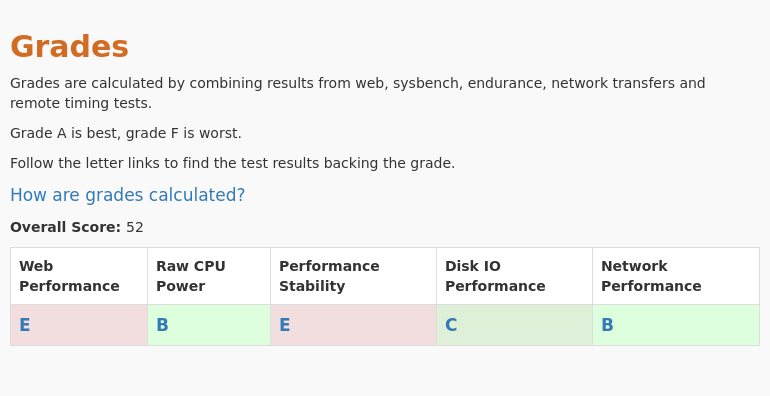 To summarize the performance of each VPS plan, we generated grades based on the various tests that were run: web, sysbench, endurance and remote timing tests. 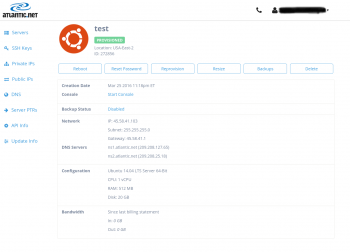 Each grade focuses on one aspect of the VPS speed (cpu, disk IO, network IO...) and can be made of one or more of the metrics generated during the tests. The grades above are based on the following test results. We ran a database intensive web application with ~100,000 hits per day for several days on VPSs from AtlanticNet and Amazon Lightsail. This is the average response time measured locally on the VPS for each plan we tested. 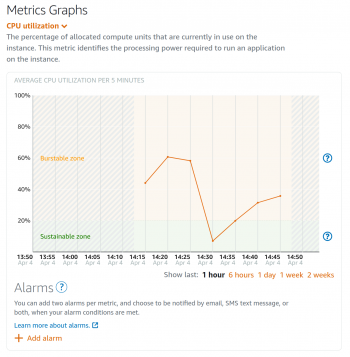 During the Web Test, we collect response time metrics, CPU metrics and database performance metrics. All of those are measured locally on the VPS running the web server. All metrics can be compared on the Web Performance Comparison page. Sysbench test results are also available for random disk IO tests, sequential disk IO tests and memory tests. Review and compare all Sysbench numbers on the Sysbench Comparison page for AtlanticNet and Amazon Lightsail. During the whole duration of the web performance test, we collected web response times from 5 different locations in the world. The chart below reports the average connection + TLS handshake latency from all 5 locations. Note: Remote timings may not be available for all plans. Detailed remote timings measurements including connection time, TLS handshake time, and response time can be compared for AtlanticNet and Amazon Lightsail on the Remote Timings Comparison page. We have performed large file transfers from the AtlanticNet and Amazon Lightsail VPS and we measured the speed of downloads and uploads. The transfers involve multiple files, 10 threads and last for at least 10 seconds at maximum speed. The transfers are repeated 3 times from different servers and only the fastest transfer is reported here. Network Transfers measurements including download and upload speeds can be compared for AtlanticNet and Amazon Lightsail on the Network Transfers Comparison page. We pushed the CPU of those VPS plans very hard for 24 hours straight. This kind of tests shows how fast the VPS can go for long periods of time, how stable the performance is and it also gives clues on how overallocated the VPSs are. Note: Endurance metrics may not be available for all plans. Review and compare endurance test results for AtlanticNet and Amazon Lightsail on the Sustained CPU Endurance Comparison page. 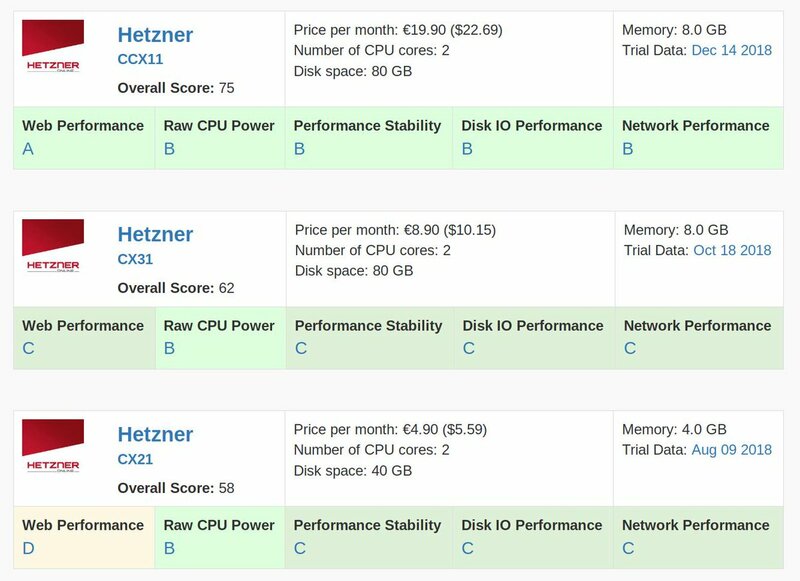 Features not included in the VPS price in plans tested at vpsbenchmarks.com will be marked as missing.